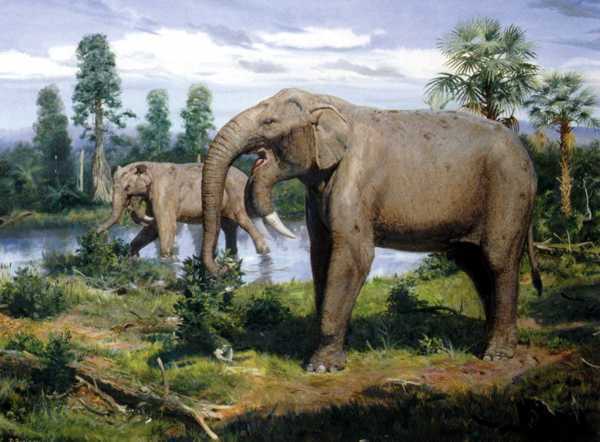 Deinotheriidae (family taxon) and the genus Deinotherium, (meaning "terrible beast", also called the Hoe tusker) developed from the lower Miocene Prodeinotherium which they replaced in upper Miocene and they continued through Middle Miocene until the Early Pleistocene (in Africa). According to Adrienne Mayor, (The First Fossil Hunters), Deinotherium's range covered parts of Asia, Africa, and Europe. They have been found at all the major excavation sites in East Africa where hominids have been found, including Hadar, Laetoli, Olduvai Gorge and Lake Turkana. Some individuals reached a height of 5 meters, (Deinotherium is the third largest land mammal known to have existed on earth) and the lower tusks could reach a leanght of 1,5 meters. The french paleantologist Georges Cuvier believed that the first found molars belonged to a giant Tapir. Johann Jakob Kaup made a reconstruction imn a museum in Darmstadt with the tusks growing upwards, and he named the animal Deinotherium, the "terrible beast". Adrienne Mayor writes in The First Fossil Hunters that several early Greek philosophers happened on Deinotherium skulls and bones and believed that they were the skeletons of gods and mythical monsters. One such bone bed in Greece was even thought to represent a plethora of large skeletons left after a colossal, god-ordered fire. 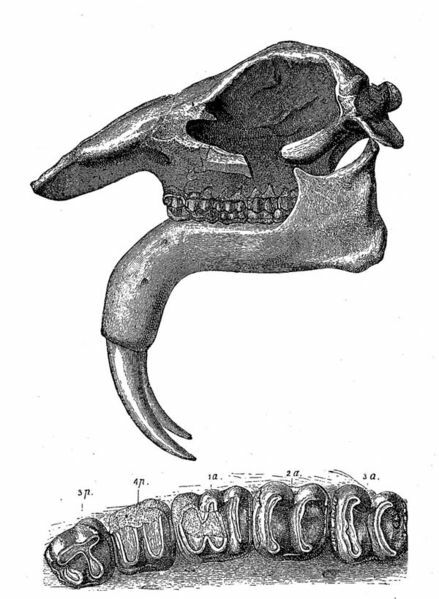 Deinotherium giganteus is the type species, and is described above. It is primarily a late Miocene species, most common in Europe, and is the only species known from the circum-Mediterranean. Its last reported occurrence is from the middle Pliocene of Romania (2 to 4 million BP). An entire skull, found in the Lower Pliocene beds of Eppelsheim, Hesse-Darmstadt in 1836, measured 4 ft (1.2 meters) in length and 3 ft (.9 meters) in breadth, indicating an animal exceeding modern elephants in size. Deinotherium indicum is the Asian species, known from India and Pakistan. It is distinguished by a more robust dentition and p4-m3 intravalley tubercles. D. indicum appears in the middle Miocene, and is most common in the late Miocene. It disappears from the fossil record about 7 million years BP (late Miocene).